At over two thousand metres above sea level, you can see the dictating membrane of a Cape Griffon slide over its eyes as it glides past you. The bonus is, you have both feet planted firmly on the ground, so you can get a great shot of it too. Cape Griffons, or Cape vultures, are one of South Africa’s most endangered species. They succumb to poisoning (farmers poison carcasses of livestock to kill the predators that killed their stock, and the vultures get killed in this cycle) collisions with power lines, electrocution on power lines, poaching for muthi, and shrinking habitat and range. Fortunately, conservationists such as Kerr Wolter at Vulpro are educating farmers, and some forward thinking farmers have changed their methods. 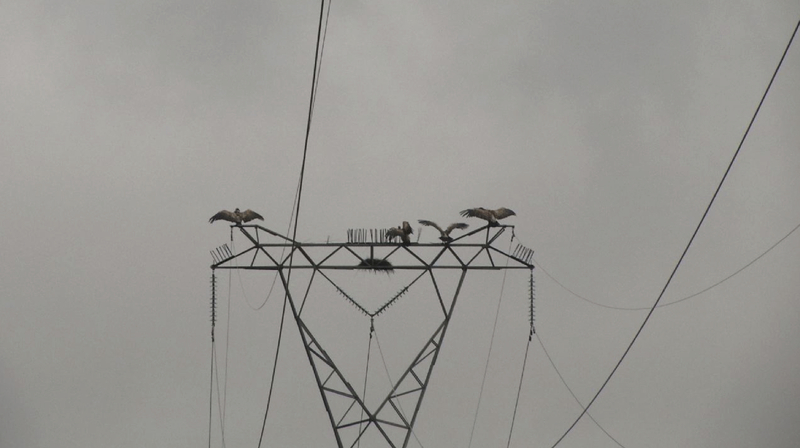 Also, Eskom is looking at ways to mitigate vulture deaths on their powerlines. The muthi trade and shrinking range (for carcasses and kills) are still of concern. Now a lot of people still have reservations about vultures and the stigma attached to them, and I must admit, I had some negatives too. That is ,until I saw them spread out those giant two metre wingspans, and make the sky their own. As my interest grew, I discovered that they are fastidiously clean birds. They have to be, after what they eat. They simply can’t afford to spread disease or parasites in and around their home. They preen and clean until they are creamy white and squeaky again. This is how I met them at their largest colony, in the Kranzberg section of the Waterberg, in Limpopo province, South Africa. Watching them closely over the years, I have never seen one of the six hundred or so breeding pairs here, ever looking dirty, or even ruffled. What also drew me to them is the way they care for their young. Both parents share this task. The male or the female will fly off, often hundreds of kilometres, searching for food, while the other one incubates the egg, or broods the chick. The returning parent regurgitates for the chick (see our video clip) and the two parents grow the chick until it can one day fly off the ledge. See the video of a young bird trying to land on the ledge near its family – with hilarious consequences. Anyway, back to the title of this article. 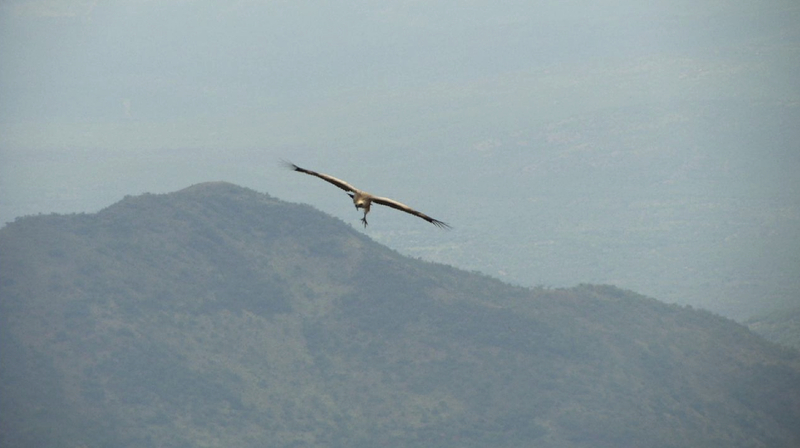 If you want to soar with Griffons, get over to Marakele National Park, in Limpopo Province. There are a number of places to stay, including the National Park accommodation, Griffons Bush Camp, which nestles on the plateau below the cliffs and the colony, or for real luxury, Marataba Lodge, a private lodge. Prices range from R 205 for camping at Bontle campsite in the Park, or R 489 per person sharing, self catering in the stone and thatch cottages of Griffons, inside an exclusive private area of the Park, or from about R 3,500 per person per night at the five star Marataba Safari Company Lodge. Also in the Park. In full disclosure, I am the founder of Griffons Bush Camp, so I do promote them. However, I have listed a variety of accommodation to suit varying needs and budgets. The important thing is, to get to see the vultures at eye level. To do this, you can self-drive up the winding scenic tar road through the Park, to the very top of the Kranzberg. You are now on the lip of the cliffs above the Griffon colony itself. From the tourist area, you can often see the vultures fly over and past, and some days this will be splendid viewing in itself. However, if you want to get a closer view, and have a great scenic walk and experience, I recommend you book a game drive with the SANParks guide, Sidney Mikosi. Sidney will meet you at the entrance to the Park, and you then hop into the nicely kitted game viewer, and he will take you up the mountain. Once there, he will lead a walk along the cliffs for the best view of the colony, and the vultures. The view is absolutely spectacular, and so are the vultures. Definitely must be on your do list when visiting this beautiful mountainous and wild Park. This entry was posted in Uncategorized on June 10, 2015 by Wild Dog Productions. We were actually making a movie about elephants when it happened. It happened on our first night, actually. My sound recordist who also shared the driving with me, Ellie Mthanda, was on his first wildlife location, far, far, from his hometown of Soweto. We’d already had a great afternoon, as we arrived, filming herds of elephants drinking along the Chobe river, in Chobe National Park, Botswana. Perhaps it was this that caused us to be a tad late arriving to set up camp. We were privileged to be allowed to camp outside the main tourist camp, as we were film crew, and so we pitched just nearby, to be near the ablutions etc. We were just about done, tent up etc, and it was darker than dusk. Looking behind me along the entry track to the camp site, I saw some dark shapes of animals walking along the path. Impalas I thought, and carried on unpacking, as did Ellie. Our site was just alongside the track, with our tent facing outwards for a view of the beautiful Chobe flowing by. As I turned back to get some more stuff from our Landcruiser, the shapes along the path had got a lot bigger as they drew nearer. It was now so dark I could only make out blobs. Then one of the shapes , just a few metres from the truck, sat down on its haunches. Impalas do not sit down on their haunches. “Get in the truck, Ellie’ I whispered uregently, and he jumped into the passenger seat with me right after him. Luckily, I always plug a spotlight torch into the cigarette lighter when camping in the wild. I clicked the beam on and shone through the window. 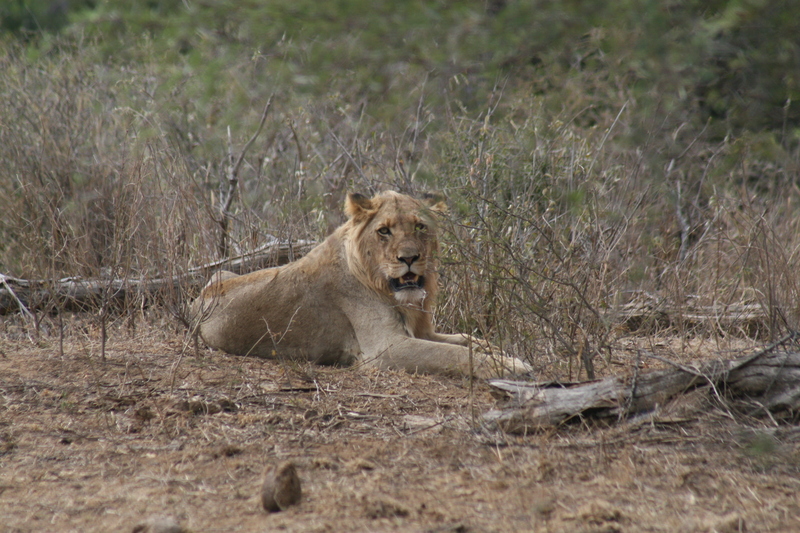 There were nine lions spread out along the path, with the foremost lioness sitting, not even looking at us. I said something to Ellie, but he didn’t reply, so I nudged him. Still no response. I looked over at him, and he was out cold, sitting up, in a dead faint. I’ve never seen this before, but I believe it happens. So, I watched the lions pass, and walk on their way towards the tourist camp. After a minute or so, Ellie cam to, and I told him we had to drive in to the tourist camp to warn them about the lions strolling through. I started up, and we drove towards the camp. The lions were nowhere in sight, but up popped the camp attendant, out of his hut, carrying a rifle, and stopped us.We said hi and he told us his name was Honest. We told him about the lions but he refused to let us go any further. “ You might scare away the guests.” he said. I reckoned the lions would do a better job of that, and tried to persuade him, but to no avail. So we reluctantly went back to our camp site, and as there were no screams and grunts during the night, we thought the lions had probably just slipped through quietly. But they hadn’t. At about four o clock, I heard a rifle shot, and Ellie and I piled into the cruiser and made for the sound. We got to Honest’s hut, and he was standing in front of it, smoking rifle in hand. ‘You okay, Honest? What’s up?” He looked at us, mournfully and to his credit, he lived up to his name. “It is the lion.” he said. We waited. Honest gestured to the toilet, “I was going to the toilet, and the lioness came out of it towards me, so I fired a warning shot into the ground.” ‘Oh” said Ellie and I. “They are gone now.’ He assured us. I was tempted to add a bit about telling the tourists, but bit my lip, and we departed. One of the great things about wild lions – they’re not too interested in us. The whole pride walked leisurely past us the evening before, without even giving us a second glance. If we were buffaloes, we would probably have to wind up the windows. That’s also why none of the tourists were bugged by them. And the lioness in the toilet? I learned about this later, when I went. The toilet is framed but two narrow pressing walls, and I was drawn by a beautiful pattern on the one side of the wall by the toilet bowl. It was a fine spray of stripes leading away from a central series of blobs. Then I could see clearly what it was. A lioness had drunk from the fresh water in the toilet bowl, and then turned her head in the confined space. Her face, likely covered with dust, and now wet, had pressed against the wall. There was the perfect imprint of her nose and whiskers stamped onto the wall. I chuckled alll the way back to camp. And a tip for Africa visitors. 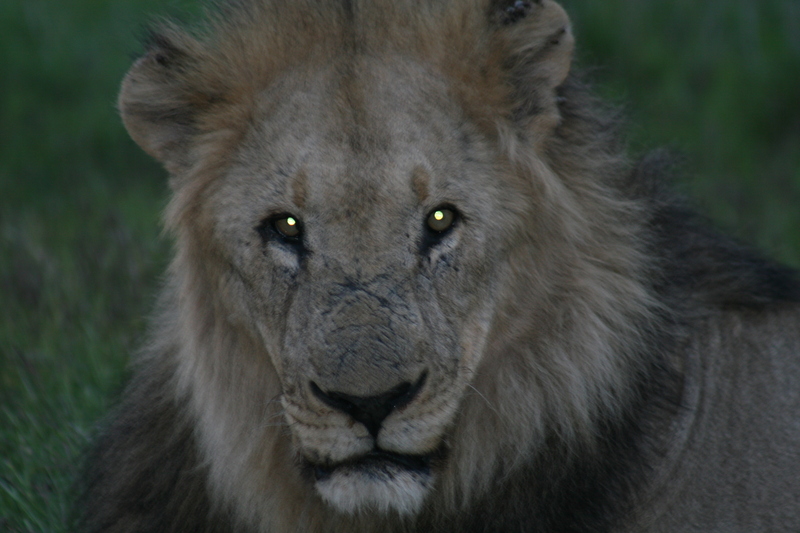 Wild lions are generally far less dangerous than those raised in captivity by humans. Their menu is mainly antelope, and we are not on their menu. In captivity, the natural barrier of respect that has grown between us and them over centuries, has eroded. More captive cats injure or kill tourists than wild ones. And if you go to see the wild ones, you get to see miles of Africa around them, as well as fences. Oh, and about Ellie. He grew fantasrtically in his knowledge of wild animals, and about two years later, he was walking back with a trainee in a wild area when he heard a leopard near. He told me when he got back, that he told the trainee (from England) that it was just an antelope, and got him safely back to camp, without any panic. A clip from our award winning film ‘Story of the Sands’ the story of two prides of lions in the Kalahari desert, and their tests and triumphs of life, filmed over two years. Next time: Putting yourself in the right place, and waiting…..for the right time. This entry was posted in Uncategorized on June 4, 2015 by Wild Dog Productions. 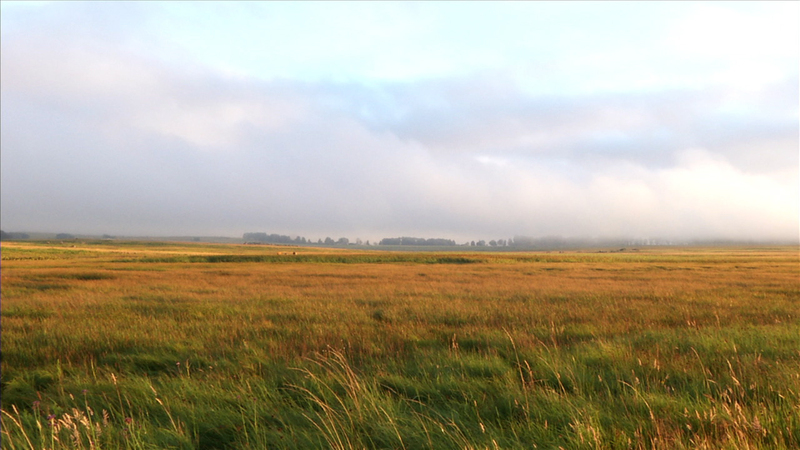 A vast wetland in South Africa. The mist swirls and conceals the sun and the sky, and then twists again and shows patterns of morning sky. 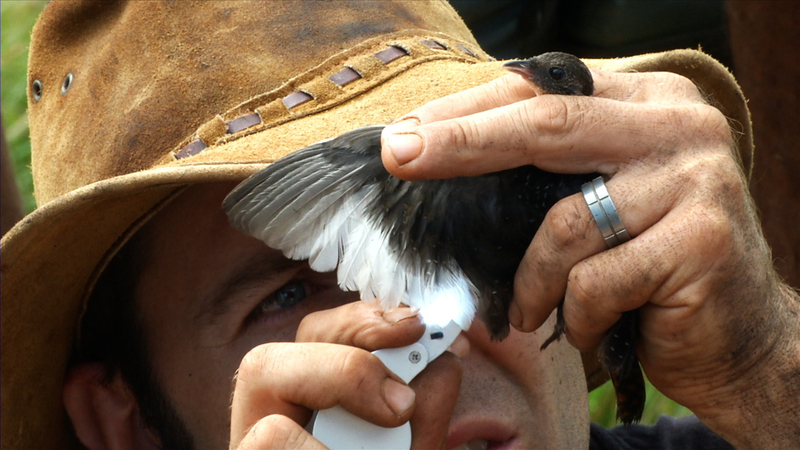 A team of scientists, vets, and expert birders are searching the wetland in the hopes of finding a White-winged Flufftail, a bird that has only been seen a handful of times in the past few decades. On the IUCN Critically Endangered List, the flufftail may be in this wetland, or be extinct here, as in many other areas of its range. The teams set out, wading through the swampy wetland, sometimes falling into deep drifts, all the while dragging ropes across the sedges and reeds to try and flush the bird into one of the many fine-meshed bird nets stretched across the valley. Hours go by, and despondency and resignation start to trickle into the body language of theteams. Then a shout goes up – a flufftail flies over the sweepers, and dives for cover in the marshes. They follow, carefully tracking where it might have crept. 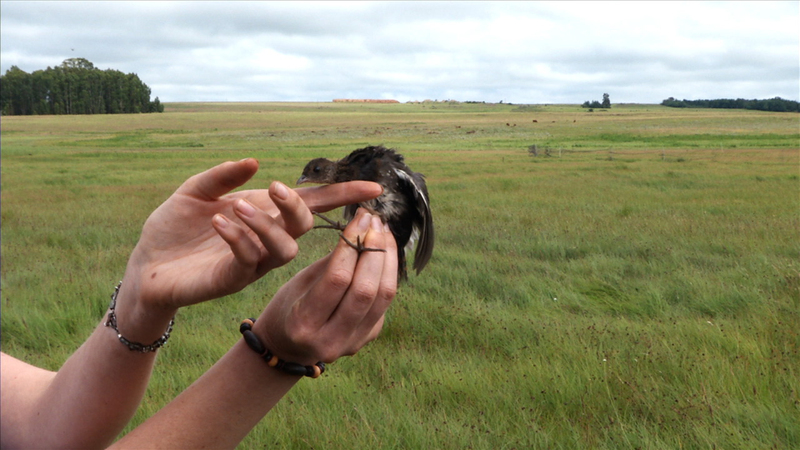 Then one of the team sees it, and manages to hold the delicate bird in his hands. It is carefully bagged and taken by the vet for dna blood sampling, weighing and measuring, feather sampling and more. The more the world knows about this rare bird, the more it can help bring it back from a path to extinction. Finally the delicate creature is released again, and sits on the grass, not moving. After a gentle prompt , it flies back into the wetland, and the team looks on, powerless for now to help it immediately. But the data gathered will be a step towards knowing more about a life that was virtually unknown, and with knowledge can come freedom. 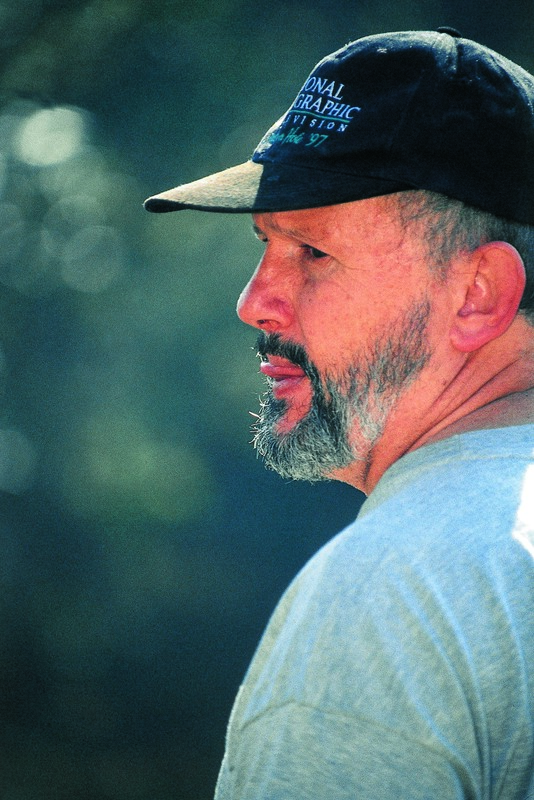 How to make the films you love and lose weight at the same time by Robert Waldron Not sure whether to write a film-making or a diet blog on this one. 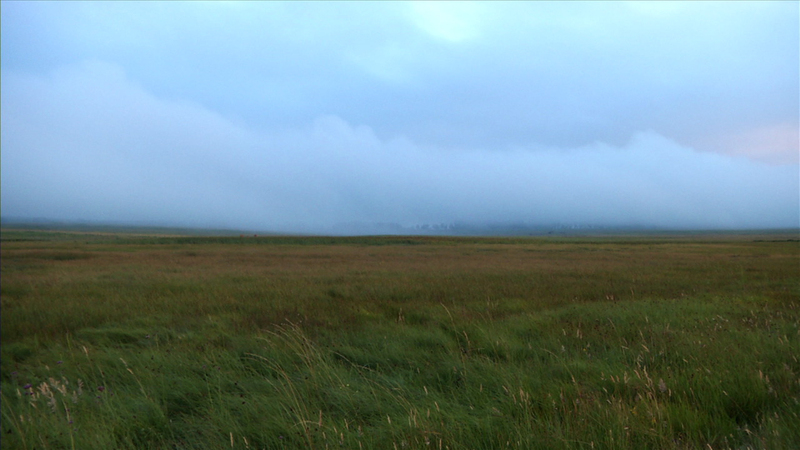 The great thing about filming wolves in Yellowstone is that you’re allowed to walk. In fact, you have to walk, the Parks people don’t want you to leave your vehicle just anywhere, or drive off the road. This little rule was particularly character building for me – I was used to driving everywhere and filming from vehicles in Africa. Now here, in the crunchy snow, I see the wolves as specks on the snow ridge two miles away. Hi ho, hi ho. Lift your tripod bro. So, if you’re going to be doing a bit of walking, choose the lightest gear you can. I was happy with my Sachtler Video 18 tripod. Its weighty enough to be stable, and yet doesn’t feel like you’re carrying Golden Gate bridge after a mile. The camera, in the not so distant days of Super 16mm and DigiBeta, didn’t show me any mercy though. Full size, 15 lbs, and then there’s the long glass on the front – necessary because the wolves are not often in your face. An excerpt from our award winning movie ‘Double Pack:Wild Dogs and Wolves’ filmed over two years in Yellowstone USA and Madikwe game reserve, South Africa. Now, today, I can just whip out my Panasonic HPX 250 full broadcast HD camcorder, and hit the road at a trot.. Either way, think about a shoulder pad for where the tripod, head and camera rig nuzzle your shoulder as you slog the miles through the blizzardy wastes. A couple layers of towelling sewn into your shirt, or a heavy duty foam pad that you can belt on, will protect your shoulder (or shoulders, as I often swop arms and whimper a little) from getting raw over the duration of your shoot. This entry was posted in Uncategorized and tagged aviation, films, golden gate bridge, hd camcorder, learn, making movies, transportation, wild dog productions, wolves in yellowstone on January 23, 2013 by Wild Dog Productions. You can do this two ways. One, with the software supplied with the camera, and a compatible laptop. Or two, with an add on intervalometer like the TR-A Timer Remote Control Shutter for Canon or Pclix XT. They’re about $20 – $50 up. The intervalometers can usually be set at one second intervals, or fraction of a second intervals, for up to 3 or four days, and are the simpler solution. But if you have the camera, and the software, you can do it with your laptop, and set up the software to fire the camera remotely at the increments you want . This blog about the free option, that you got with the camera– the downside is you need to have your laptop within wireless or USB cable range of the camera – not so cool in a blizzard or at night. You’re shooting in still picture mode, at 21 megapixels per frame, which is around 20 times better resolution than HD TV, so this means you can zoom in to the image, and crop, safely up to 60% of the image and still get crispy clean broadcast quality. You should shoot in jpeg setting, rather than RAW, so there is no file conversion problem later. Have enough battery or mains power for the cam, and once you’re rolling, you can’t sop and check, so make sure the cam(and you and laptop) is in a safe housing against the elements, wild animals, passing pilferers, etc. If you have the time, run a test for the kind of effect you’re looking for – skimming clouds, sunrise to sunset, city lighting up going to sleep, etc. By adjusting the frame rates, you’ll get an idea what to expect. 1. If you don’t have the time, for skimming clouds and sunrise to sunset, between once very 5 to 15 seconds and your ISO or exposure should be pre set. 2.The lower your ISO the crisper your image, but youy may need to be at ISO 800 if you have a lot of low light in your timelapse. Lock this setting off, so it won’t adjust automatically. 3. Your shutter should be slowish, below 1/100th of a second, especially to ‘smooth’ some of the timelapse images. Try around 1/60th. 4. Focus should definitely be manual, and choose your focal point beforehand (eg infinity). 6. Set the camera for aperture priority (Av setting) so the camera can adjust exposure per frame taken (eg from early morning low light to bright midday) without over or under-exposure. 7. Select an aperture of about f5.6 as the wider settings usually give you more latitude, especially if you’re going to be in partial low light. 8.You’ll need to work out in advance, and in detail, how many shots you’ll be taking over the duration – eg 500 shots over 12 hours, and if your Compact Flash Card is big enough to handle this. The EOS utility software is great – it lets you set the number of shots for the amount of time, and set a bunch of parameters.To make your movie from the hundreds of still images, load them into Quicktime Pro folder, and set the length of the timelapse sequence and it’s there to view. If you don’t have Quicktime Pro, there are other software add-ons available, but QT is ideal especially if you’re linking to editing software. Adobe After Effects is also great, and let’s you craft the image directly after loading it. With After Effects, you can grain it up and let it look like a film shoot, or to match a bleak/happy/sunny mood that you have in your storyline. This excerpt from my movie Double Pack: Wild Dogs and Wolves, includes a little timelapse over the titles and lead in, and shows you can use timelapse for storytelling and not just scenics. This entry was posted in Uncategorized on January 23, 2013 by Wild Dog Productions. It was a baking midday on the Chobe river floodplain in northern Botswana. We were in the throes of making our first film on elephants, *’The Time of The Elephants’, and visitied to shoot supplementary footage here for this film, which was actually set in Kruger National Park. We later returned to shoot ‘Chobe; Lifeblood of the Sands’ which featured the dramatic cycle of life the elephants faced at Chobe. If you’re going to film elephants, Chobe National Park in Botswana is certainly one of the best places to do it.It has the largest population of elephants on the planet, over 50,000. I’d been to Chobe before, but my new production assistant, Ellie Mthanda, a Zulu homeboy from Soweto, had hardly been outside Johannesburg. As we drove out on the dry fringes of the floodplain, we made towards two large herds of elephants at water on the edges of the cool blue Chobe. Both herds had drunk and splashed their fill, and started making their way back into the bush, on the long trek to find food. The grass and browse near the river had been stripped long ago, and the elephants were moving in a constant cycle between the only water, and grazing which was often over thirty kilometres away. The one herd set out and left just before the other, passing just behind our vehicle. Ellie was absorbed watching them, not only seeing elephants for the first time, but much closer than he ever dreamed. I was watching the other herd, which left a little later, and was now on a course to cross just in front of us. The matriarch was moving determinedly towards us, and kept the herd behind her. Just by her body language, with a slightly hunched back, a stiff tail that curled upwards, and a lofty tilt to the head, I knew we had trouble. There was nothing we could do, with all routes closed to us, so I didn’t bother letting Ellie know, as he was turned backwards, watching the herd cross behind us. The protective matriarch bore down on us steadily, and all I could do was watch and hope. 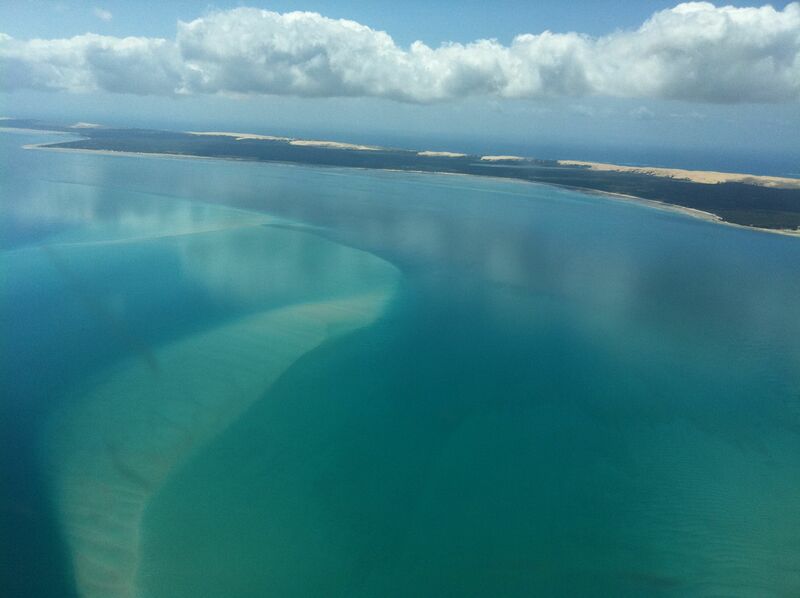 She stopped right in front of the bumper of our Landcruiser, and then pushed her body forward, her massive head right over the hood of the truck, and her small brown eyes peering down into the cabin, as if seeking for any false move. Just at that moment, Ellie turned around, and got a windscreen full of elephant. ‘Oh!’ he gasped, surprisingly softly under the circumstances. The matriarch still glowered down at us, I honestly got the feeling that she was checking if we were good enough people to be near her family. Then, without the usual shake of the head and smack of ears, she glided away, still watching us for a time. If you haven’t seen elephants before, like Ellie, this was the way to find an elephant. So, some takeout from this is. If you’re specializing in a particular animal, put yourself in the best place to see that animal. 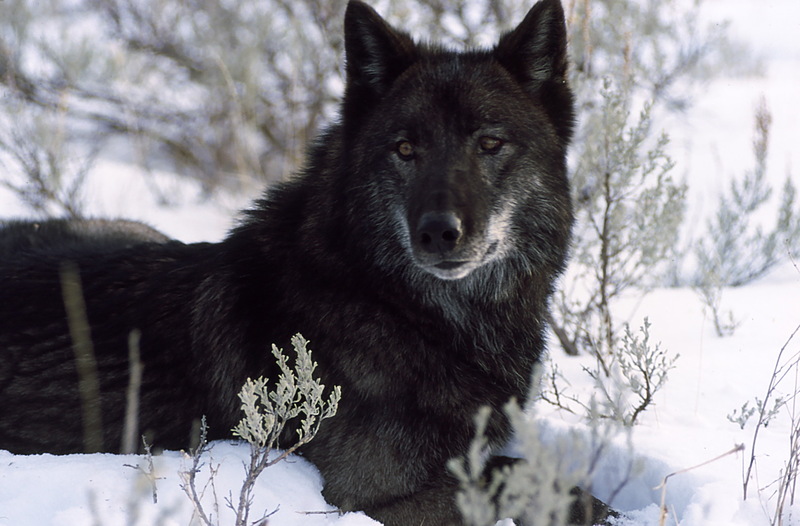 Either geographically, or by working with scientists who can consistently find tagged animals. I’m confident that we would never have acquired the abundance of elephant footage and behaviour we did anywhere else in Africa. Respect the animal, and help it to respect you. We did nothing to harm or scare the elephants, no revving of the engine, or playing chicken with the truck vs the animal. Come from a good place. 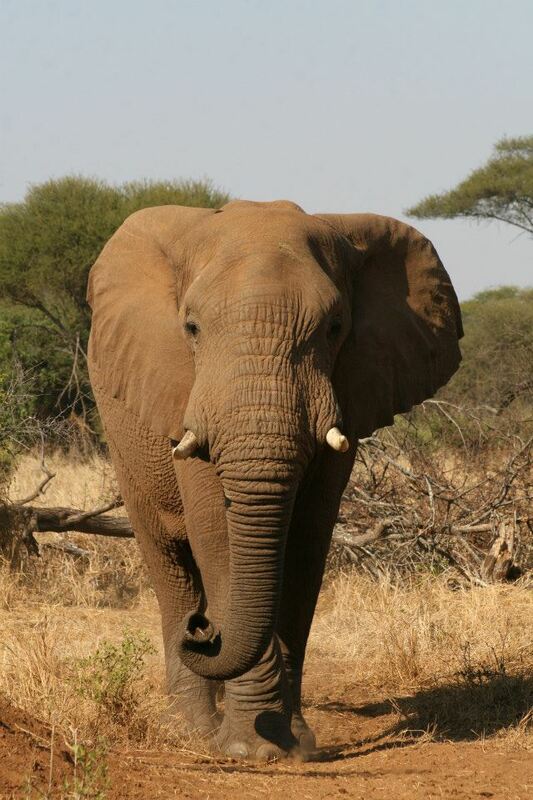 In our two years of filming in Chobe, we were never seriously threatened by an elephant. We faced a few mock charges, and now and then some irritation at our presence, but nothing really dangerous. I believe that this is due partly to us respecting the elephants at all times, never pushing them, and working hard to understand them. A little love also helps. Elllie and I both love these giant pachyderms, and in our time there, witnessed nuances of behaviour and intelligence that were revelatory. I believe elephants are clever enough to pick up on who you are, and what your motives are. See the big picture. Sure we would get great footage every day when the herds cam in their thousands to drink and cool down by the Chobe. But then, the next day, until about noon, there wouldn’t be an elephant anywhere to be seen. Not one. We started to follow their daily lives, and so followed them up to 40 kilometres inland from the river, to where they could find grass and leaves. Most of the vegetation between there and the river had already been eaten, particularly in the dry season. These journeys across the Kalahari sands were tough on the elephant babies, and they would often sit or lie down en route, exhausted. Sometimes, their mothers had to leave them, so that they themselves would survive. Seeing this bigger picture of the unrelenting cycle created by the need for water and the need for food, we could understand them better, and build up a better picture of their lives. Leave the animal in a good space. It’s possible to drive up to elephants, and provoke them to charge, and play the fool with them enough to get some really dramatic action, and then leave with this so called exciting footage. They’re so good natured that they probably won’t even kill you. But they might harm the next people who come along.Perhaps a family who just wants to enjoy a closer look at these massive animals in the wild, and to cherish that experience for the rest of their lives. Instead what they encounter is a confused, angry animal that has lost his or her trust in humans thanks to the previous humans. I’ve seen this type of thing occur once or twice. The next time you read about an animal charging without provocation, and it’s not wounded or with young, it might be that the provocation happened courtesy of its previous human encounter. If you’re into wildlife film making, my guess is that you love the wild and the things in it, that it gives you something beautiful beyond yourself. I’ve sacrificed many shots because of that love. I believe it to be a level better than sacrificing the animal for the shot. This entry was posted in Uncategorized and tagged acting, adventure, education, entertainment, filming, films, learn, making movies, movies, wild dog productions, wilddog, Wildlife on January 16, 2013 by Wild Dog Productions.